Tapes & Dispensers There are 24 products. 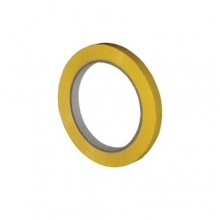 Our top quality adhesive tapes are professional quality and great value. Whether you’re stocking up on supplies for your busy packaging area, or need to find just the right design of tape for your home project, look no further. We supply heavy duty strapping tape strong enough for bundling steel rods or taping crates for export. Low noise or silent tapes are perfect for use in noisy packaging areas. We have tapes pre-printed with messages for fragile and precious parcels, as well as book binding and professional photographic tapes. If you’re staging a performance and need to stock up on Gaffer Tape, or if you’re making a scale model of Tracy Island out of cereal boxes and need a few extra rolls of Scotch Tape, it’s all here - just a click away. Also available are our very popular tape guns and dispensers for fast and easy sealing - the hand held pistol grip makes quick work of awkward shapes and high volumes. When you have handling instructions you need to get clearly and quickly across to anyone dealing with your parcel, our polypropylene and vinyl printed packing tape provides the ideal solution. With bright red letters on a white background, no one will miss the Fragile tape or Caution tape you attach to the cardboard boxes containing your fragile goods. 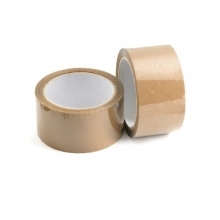 Our range of pre printed tape includes messages such as Fragile, Handle With Care, Advice Note Enclosed etc. Don't take a chance - get your fragile packing tape from Online Packaging Shop today and save money with our generous discounts on large orders! 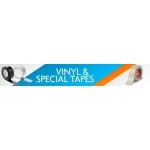 Big discounts on coloured packing tape, double sided tape, bag tape etc. For all your packaging and industrial needs, choose from our comprehensive range of vinyl and special packaging tape, for trade and retail use. From vinyl tape for general carton sealing to coloured vinyl tapes, perfect for coding and identification purposes. 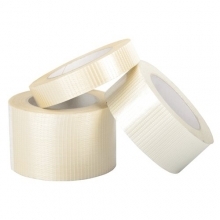 Tapes for special needs include masking tape, double sided tape and hook and loop tape. 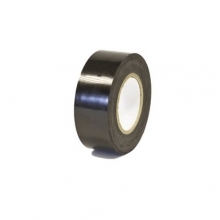 With narrow vinyl tapes for bag sealing and waterproof duct tape also available, Online Packaging Shop always has the packing tape you need to get the job done. 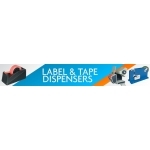 And don't forget our huge range of handy tape dispensers, designed to keep your operations fast and tidy at all times. All at the best prices and available now for speedy delivery! Gummed paper tape has a lot going for it. It’s always been a popular choice for picture framers, but when you think out of the box (as well as for sealing the box!) there are countless other ways in which it could be your new best friend in the packaging area too. It’s low cost for a start, providing a very economical packaging option, and if you need especially high quantities, contact us to see if we can offer you discounted prices. But as well as economical, it’s tamper proof – if the seal is tampered with, there’s no disguising the fact without completely retaping. That makes it great for archiving private documents and for peace of mind. 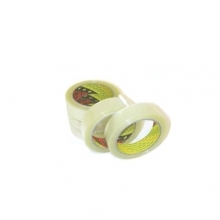 Gummed paper tape is also surprisingly durable, with a very long lasting performance. The adhesive becomes activated on contact with water, and then the bond penetrates into the fibres of the cardboard or paper packaging to create an impressively effective seal. And as if all that wasn’t enough, the environmental credentials of our gummed paper are another important selling point. Unlike so many other packaging tapes it’s 100% recyclable, making it eco-friendly and kinder to the planet. Come to us for tape dispensers too. They can transform your carton sealing jobs into a fast and efficient process that gets through high volumes of packaging much more quickly and easily. So when you’re considering the benefits of gummed paper tape, even if you’ve never tried it before give it a go. 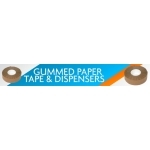 We offer great deals on packaging tapes and dispensers. Custom printed tapes keep's your company and message front of mind! Here’s a versatile and time saving product that could make all the difference to your business. 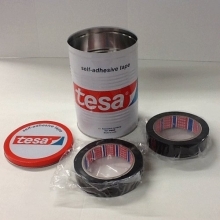 Our custom printed adhesive tape is professional quality vinyl tape in a choice of colours that will quickly and easily label your packaging or other surface with whatever message and/or logo you choose. Perhaps you want to have your company branding visible on your packages. Simply upload your artwork and we’ll print it on the vinyl tape. Print areas of up to 43mm x 300mm can be used, with the message or design being repeated along the length of the roll. The basic tape is white, and you can choose up to two different colours for printing – perhaps choosing a different background colour and then having a contrasting colour for your message. If you need assistance in getting to grips with the requirements for design just get in touch with us. 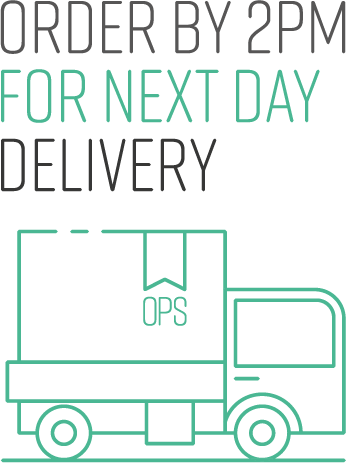 All sorts of messages could help smooth the process of dispatch and delivery or storage. Custom printed adhesive tape is a quick and highly visible way to inform people of a dangerous area, fragile contents, priority orders, this way up, or even to wish them seasonal greetings! We supply rolls of 66m length high quality printed tape, and in boxes of 36, which means you can have miles and miles of personalised messaging if you need it. Make your business packaging stand out from the rest with bold and impressive colours in a superior finish that says just what you want it to say. 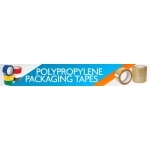 Glass reinforced filament tapes - designed for very heavy duty packaging, bundling and banding! Glass reinforced filament tapes are maximum strength and designed for very heavy duty packaging, bundling and banding. 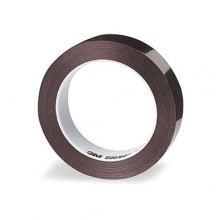 You’ll need a very sharp knife or purpose made cutter to get through this tape because it’s designed for endurance and the highest performance. Words that just don’t apply to glass reinforced filament tape are ripping, splitting, tearing. Extremely reliable and going where most tapes couldn’t dream of going, it will endure massive stress and strain without snapping or breaking. The construction includes glass fibre, and the adhesive is industrial strength. That means that even non-standard shapes, bundles of heavy duty materials and other unwieldy deliveries can all be held firmly in place. 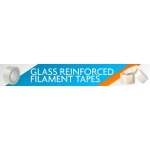 Our rolls of glass reinforced filament tape are 50m in length and come in a choice of widths, from 25mm to 75mm. They represent great value for money because they’re suitable for even very heavy duty goods for export. 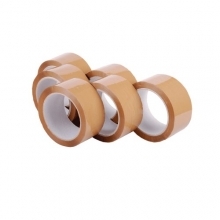 Premium grade brown PVC (Vinyl) self adhesive packing tape perfect for heavy duty carton sealing or everyday warehouse use. Read the full product description. 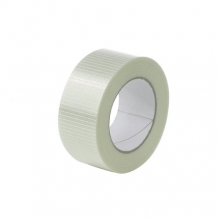 Save time and money with our 48mm x 66m pre-printed tape. Strong packing tape with a bold Fragile warning message in large red print. 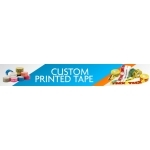 Buy this high quality pre-printed tape at some of the cheapest prices online. Sold in packs of 6. Read the full product description. 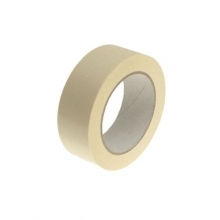 25mm, 38mm & 50mm general purpose masking tape with LOW-MEDIUM TACK ADHESION for marking around areas to be decorated, painted and wallpapered. Keep those lines crisp. Read the full product description. The easy and professional way to seal the neck of polythene bags using coloured vinyl tape. Just like the butcher uses. Read the full product description. 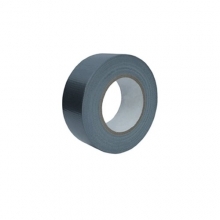 Heavy Duty 50mm x 50m strong waterproof black cloth tape. 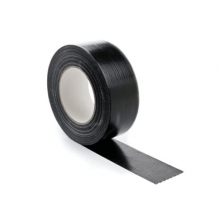 This quality black gaffer tape will stick to almost any dry grease free surface such as metal, wood, floors, glass & plastic. Read the full product description. Supurb quality 48mm x 66m white polypropylene adhesive warning tape pre-printed with the words "THIS WAY UP" in bold red. Sold in packs of 6. Read the full product description. 3M Scotch ® Premium Clear Tape is the best product on the market - low noise, pressure sensitive and split and tear resistant. 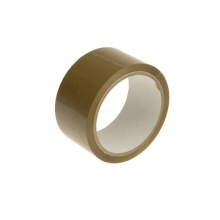 This tape is ideal for all your package, envelope and small box-sealing needs. 25mm x 66m (Pack 6). Read the full product description.